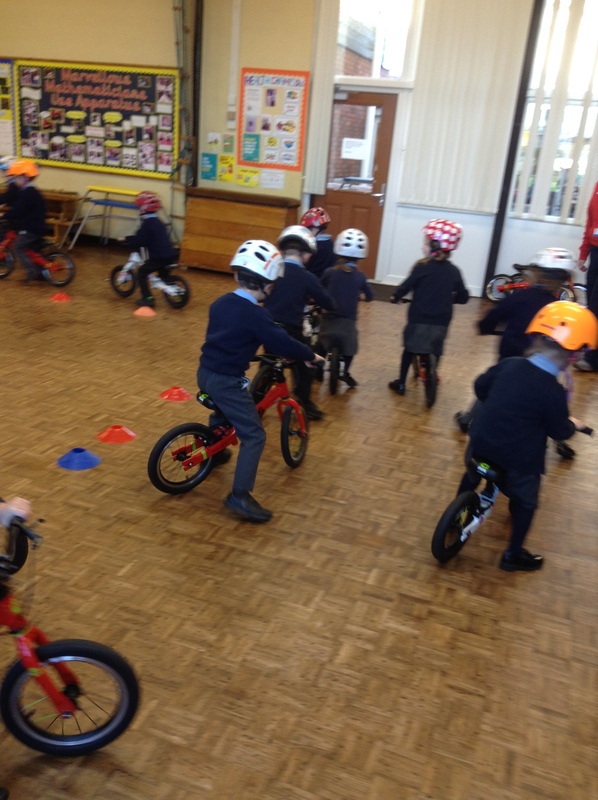 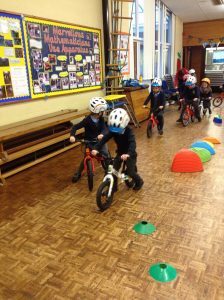 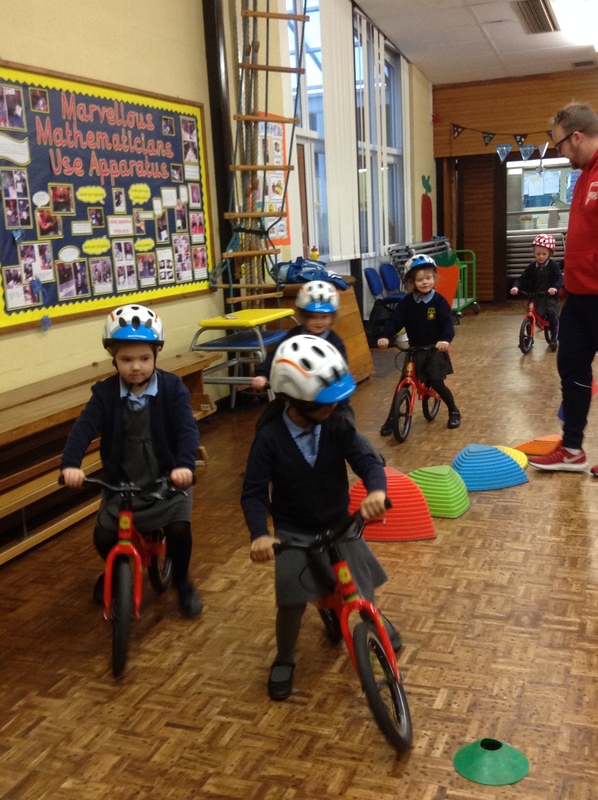 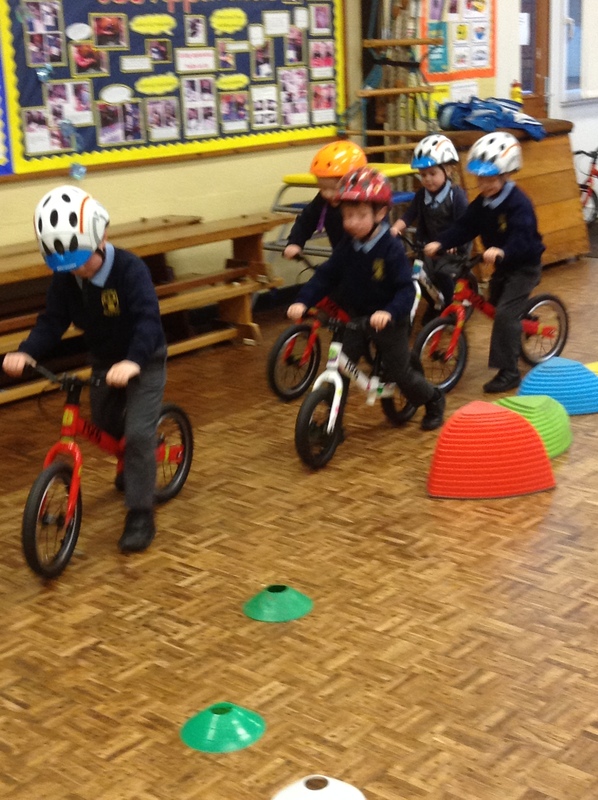 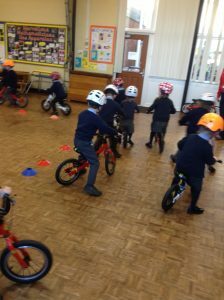 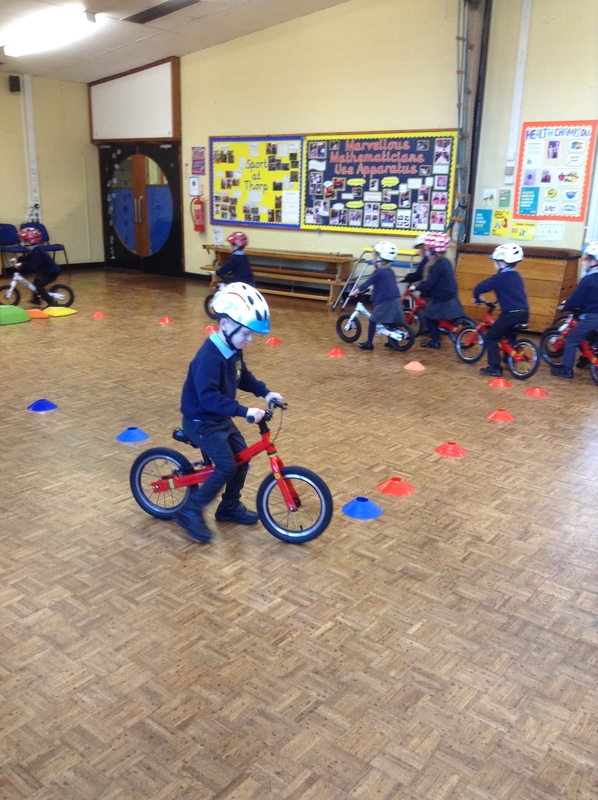 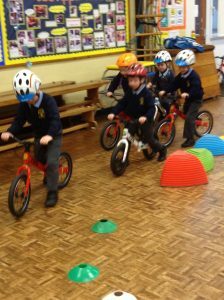 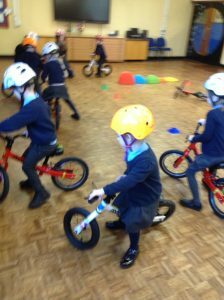 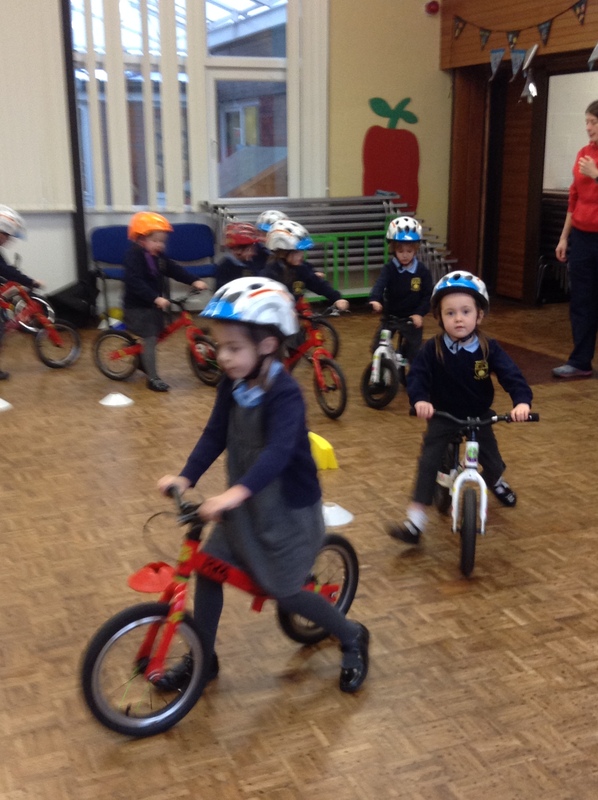 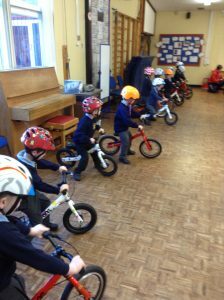 Reception children really enjoyed the 3 days we had on our balance bikes. 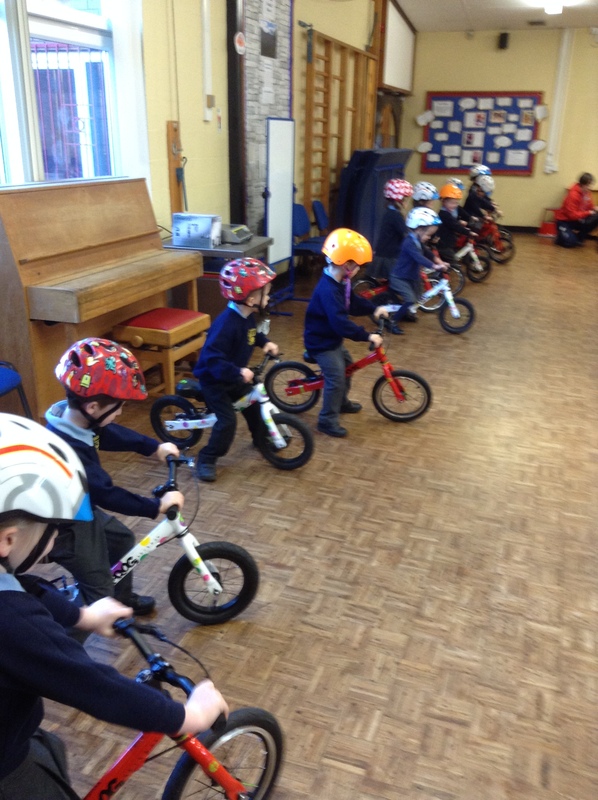 First we had to put on the correct size helmet and get on a bike that was a suitable size. 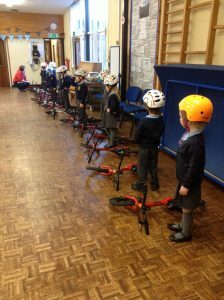 When we were ready, we woke our bikes up and climbed on them. 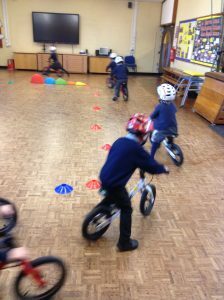 Over the two days we practised going round the hall and finding our balance. By the end of day 2 we could push our feet off the ground and ride around the playground.